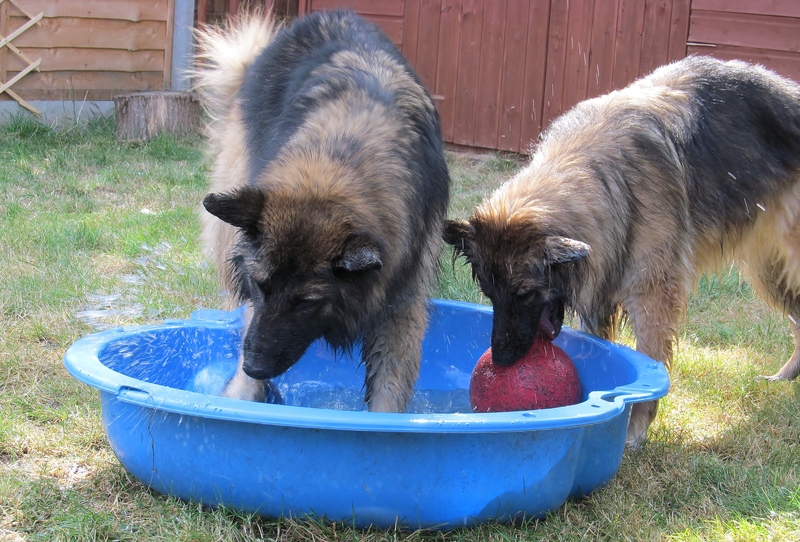 Week Forty Two and boy, has it been a hot weekend. I wanted something this week to make that didn’t involve slaving over a hot stove or bending too many times down to check cakes in an oven. 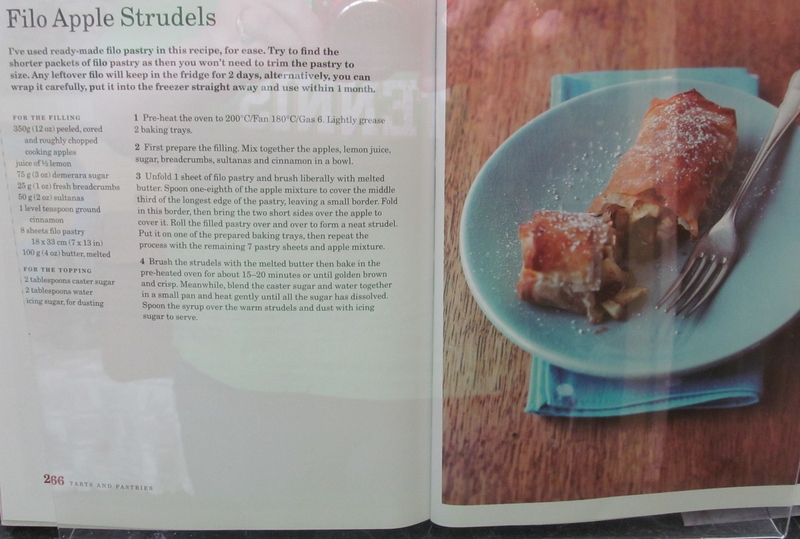 Mary Berry’s Baking Bible didn’t fail me, the apple strudel fitted the bill perfectly. Best of all, Mary clearly states she buys her filo pastry so I did exactly that. Mary asks you to core, peel and roughly cut the apple, add the juice of half a lemon, Demerara sugar, sultanas and cinnamon. Mix it all together and spread it between the filo pastry sheets, brushing the sheets with melted butter and folding. I managed to make 6. The dogs loved the off cuts of the cooking apple but remember, do not give them the core as apple pips are not good for dogs ( neither is any dried fruit) The finished strudels were brushed with the remaining butter and put in the pre heated oven for about 20 minutes. When they were done, Mary asks you to glaze them with some caster sugar melted in some water and then dust with icing sugar when they are cold. After a long hot day, with the hairy hoolies in the garden with some water and a paddling pool, the strudels, still slightly warm went down very well indeed! 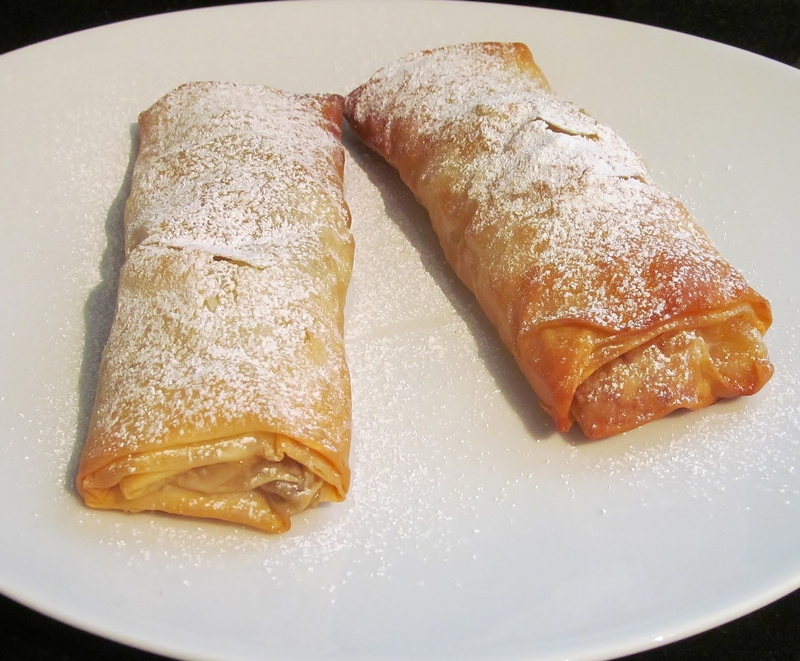 This entry was posted in Kim's cake challenge and tagged Apple, Apple strudel, Baking Bible, Cook, Home, Kim's Cake Challenge, Mary, mary berry's apple strudel, Oven, Phyllo by kimsideas. Bookmark the permalink.